If anyone wants to publish some of their drawings you can here. Just go on an image hosting site and copie the URL of your picture in the little box that appears when you click on the insert image button. Everybody is open to comment and give their opinions on your drawings. His name is Sheol. He's one of the Seven Grand Generals of Legion (Legion is a group that is run by the main antagonist). He's also known to be the most brutal of the generals. 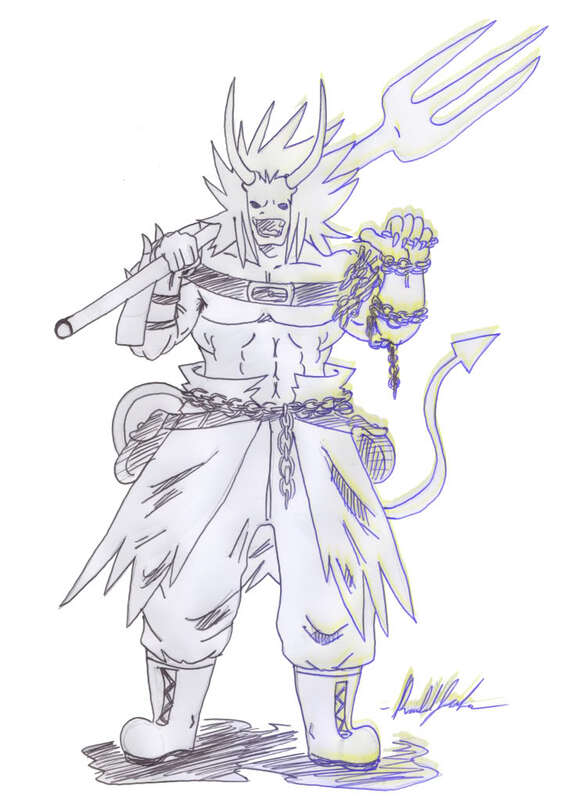 In battle he wields a pitchfork as well as a long chain. He has great strength and stamina as well as unholy techniques.